Production data is a valuable asset for every company. That’s why it is so important for commercial success, and why it requires special protection. SICK’s products and system solutions are right at the very beginning of the networked value creation chain. When humans are taken out of the process, sensor technology becomes the only source of production data – and the reliability of this data affects the subsequent success of the networked processes. SICK applies two essential principles to sensor data collection: Firstly, the collected data must be protected against manipulation at all times. Secondly, there must be clear definitions in place with regard to who is authorized to further process the data at subsequent stages of the value creation chain and how they do this. We refer to these principles as data sovereignty. While data-collecting sensors are the physical prerequisite for Industry 4.0, data sovereignty is important from a psychological point of view. After all, only companies who have full faith in the security of their network will be prepared to feed data into it. 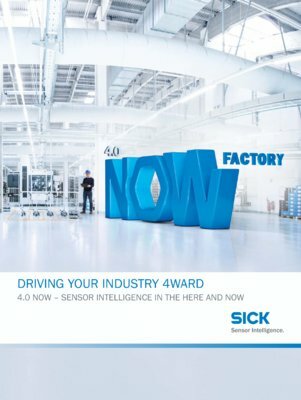 In order to fully exploit the potential of Industry 4.0, the network of parties involved must think and act beyond the boundaries of their own production systems. If supplier, manufacturer, and customer processes are to link up seamlessly and automatically, data sovereignty is the key to success. Many companies consider cloud applications to be insufficiently developed to guarantee data security at this time. To become independent from commercial cloud suppliers and to think through data security issues on behalf of its customers, SICK co-founded the International Data Spaces Association initiative. Successful data management is the key to enabling Industry 4.0. Only with secure data can vision become a reality. In the context of Industry 4.0, this joint initiative of the Fraunhofer Society and several companies, which is supported by the German Federal Ministry of Education and Research, aims to create a secure data space within which enterprises of different industries and different sizes can autonomously manage their data assets.